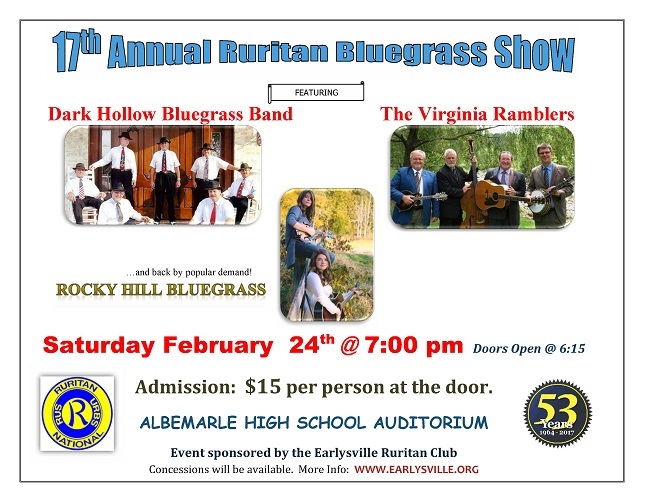 The Earlysville Ruritan Club is holding their 14th Annual Bluegrass Show February 28, 2015 at the Albemarle High School Auditorium at 2775 Hydraulic Road, Charlottesville, VA 22901. Charles Frazier & The Virginia Ramblers, the Dark Hollow Bluegrass Band, and the Buck Island Bluegrass group will be performing during the show. 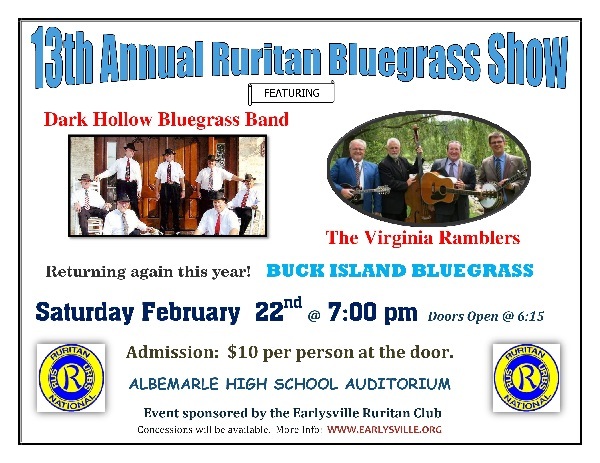 The Earlysville Ruritan Club hosts this annual show as a fund-raiser for their various community service projects. The doors will open at 6:15 pm, the show starts at 7:00 pm. Ending time is approximately 10pm. Concessions will be available. No advance tickets will be sold. 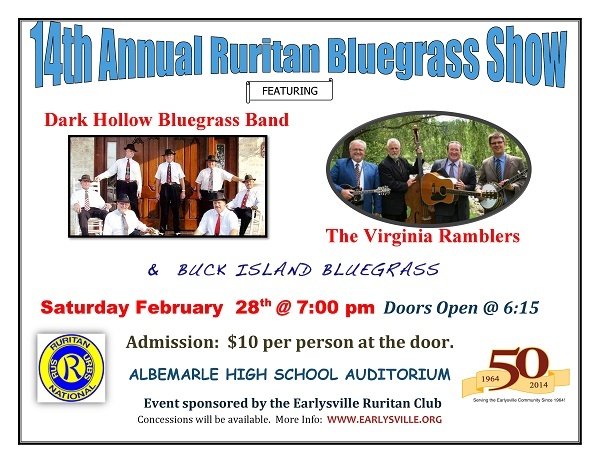 For a foot-stomping, toe-tapping, hand-clapping good time February 22nd, consider going to the 13th Annual Bluegrass Show sponsored by the Earlysville Ruritan Club! Music provided by the Dark Hollow Bluegrass Band, Buck Island Bluegrass, and the Virginia Ramblers. Food will be available at the concession stand. If you don’t have a good time, then you are doing it wrong!